ATM Anthony Thomas Melillo's bodysuit is perfect for achieving that clean, tucked-in look. Made from two layers of stretch-Pima cotton jersey that feels so soft against the skin, this close-fitting style offers opaque coverage and has a thong base for a smooth finish. 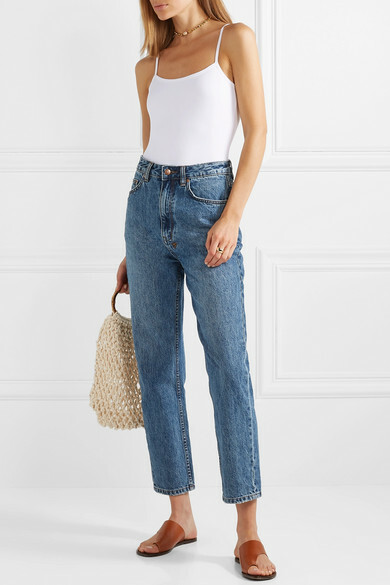 Shown here with: Ksubi Jeans, Kayu Tote, ATP Atelier Sandals, Tohum Necklace, Laura Lombardi Ring, Sophie Buhai Earrings, Laura Lombardi Earrings.